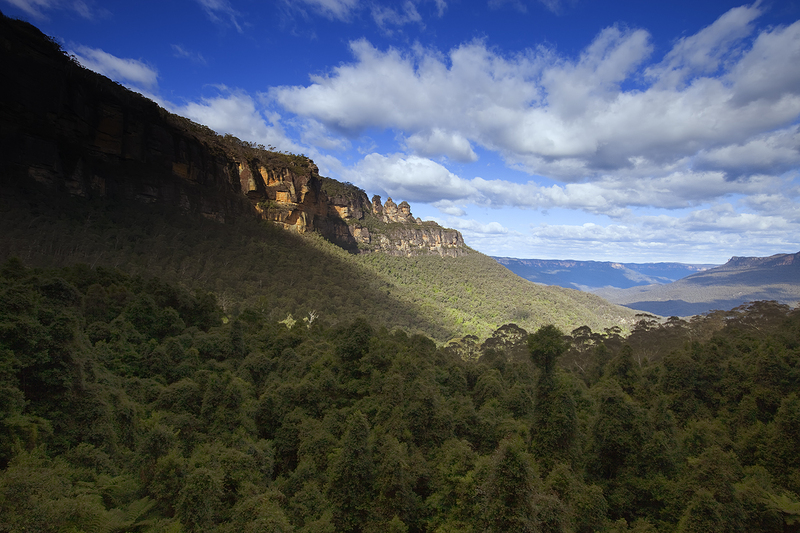 The Blue mountains is a hilly region 50 kms from Sydney in New South Wales, Australia. During my last trip got an opportunity to visit there and it was a tremendous experience trekking, climbing the steepest train in the world or on the cable car. Its a world heritage sight and approx 10000 sq Km area. Its a great place to see wildlife with more than 400 species like spotted taile Quoll, the yellow bellied Glider, and long nosed Potoroo. There are some rare reptiles like Blue mountain water Skink. There are some dingos in the area which hunt for grey Kangaroos. The Giant Stairway walking track runs down a cliff into the Jamison Valley, near the Three sisters , providing access to nature walks through the valley. The three sisters are a rock formation formed by erosion.The commonly told legend of the Three Sisters is that three sisters (Meehni’, ‘Wimlah’ and Gunnedoo’) lived in the Jamison Valley as members of the Katoomba tribe. They fell in love with three men from a neighbouring tribe (the Nepean tribe), but marriage was forbidden by tribal law. The brothers were not happy to accept this law and so decided to use force to capture the three sisters. A major tribal battle ensued, and the sisters were turned to stone by an elder to protect them, but he was killed in the fighting and no one else could turn them back. From nearby Echo Point, a bushwalking trail leads to the Three Sisters and down to the valley floor via more than 800 well-maintained steel and stone steps called “The Giant Stairway”. Climbing up the stairs is an experience. One of the toughest climbs I have ever did.